HIIT VS. LISS – which should you do? There are plenty of great reasons to do cardio, including weight loss, reduced stress, increased energy, better sleep and reduced risk for certain diseases. However, there as been some debate as to which form of cardio is the best to do. Low intensity steady state cardio (LISS), like walking for example, allows you to burn calories at a moderately comfortable pace. This form of cardio doesn’t require too much effort and is also great for stress management. High intensity interval training (HIIT) involves alternating between low to moderate intensity intervals and high intensity intervals. An example would be walking for 1 minute, then sprinting for 1 min, and repeating. This is a more efficient way to burn calories as 15min of HIIT cardio will burn roughly the same amount of calories as 45min of LISS. And since HIIT is typically done for a much shorter duration, you’ll be saving time at the gym. Furthermore, studies show a greater “after burn” from HIIT cardio in comparison to LISS, meaning you’ll be burning more calories throughout the day after your workout. There are, however, some downsides to HIIT: due to the intensity, HIIT can be very taxing on the body, can be difficult for beginners and can be tough to do if your muscles are sore from weight training. So which is better? 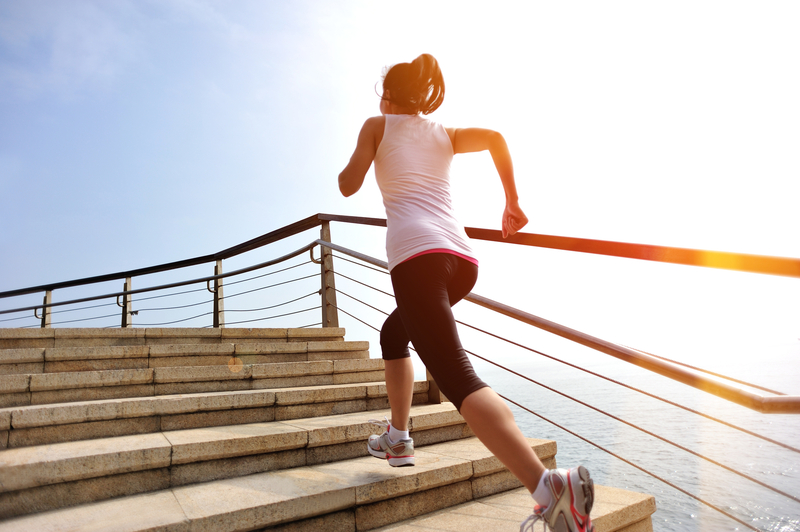 In short – there are benefits to both LISS and HIIT cardio! Always listen to your body and do whichever form of cardio you enjoy most, so you will actually do it! Want to be NOURISHED FOR LIFE? I’m a HUGE fan of barre-based workouts. Not only do I love taking them, but they are also one of my favorite classes to teach (I’m a certified group fitness instructor in case you didn’t know ☺). Today, I’ll be giving my review of Pure Barre, a barre-based fitness class. Pure Barre classes focus on muscular endurance, using body weight along with some resistance equipment (light weights and resistance bands). It is a total body workout that concentrates on constant muscle engagement through small contracted movements, working until muscle fatigue. ~The music. I’m obsessed with the playlists, which consist of high-energy electronic dance music (my jam). ~The flow of the class. You’ll start off with a quick warm up, move onto upper body, lower body, core work and finish with a nice stretch. There are also small stretch breaks in between. This format doesn’t change, so you’ll always know what to expect. ~It never gets easy. While the format of the class remains the same, the actual workout routine changes frequently, so your body is constantly being challenged. ~Mind-body connection. Throughout the class you are directed to really focus on the muscle you are working. As a fitness instructor, I know how important the mind-muscle connection is for results, so I appreciate that this is emphasized in the class. ~The instructions can be very difficult to follow, especially if you’re new to the class. To maintain the quick pace of the class, most instructions are given verbally, and depending on where you in the room, it can be tough to see the instructor when they are demonstrating the moves. Ideally, the instructor will come over and correct each person’s form, however this is tough to do during a packed class. Just like anything else, the more you take the class, the more you will get the hang of it. Also, most studios offer a free “Breaking Down the Barre” instructional class that can be very helpful. ~Not enough upper body work and cardio. While the classes are a total body workout, the focus is definitely on lower body. Pure Barre recently released Pure Barre Platform, “a new fast-paced class designed to optimize cardiovascular results and increase total body strength. This heart-pumping class combines quick bursts of high intensity, yet low impact cardio work with periods of lower intensity muscle-sculpting movements. These 55 minutes of high energy, fun and intense interval training at the barre will help you burn calories, jump-start your metabolism, and increase your overall endurance. It is the perfect cardio complement to your Pure Barre class to help you achieve even greater results, while still holding onto the traditional pieces and parts of a Pure Barre class that we all know and love.” Read more directly from their website here. 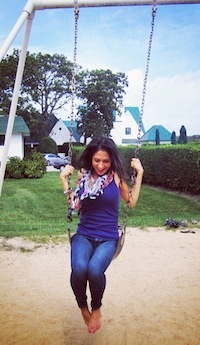 I saw snippets of the platform “jumps” on social media and was excited to try it out! I took my first Pure Barre Platform class last week and I walked in expecting a traditional Pure Barre class with some cardio mixed it. My initial thoughts: It’s very different than the traditional Pure Barre class. The movements are BIGGER, and more exaggerated. Almost everything you are taught in their traditional class is thrown out the window. There are no “tiny, little movements” and there are no “tucks.” The class is less strict about form and is more focused on fast-paced, large movements. Pure Barre traditional class: 9/10. Pure Barre Platform class: 6/10. Keep in mind that these are my thoughts of Pure Barre Platform after having only taken it once. If I continue to take the platform class, my option could change, however I plan to stick to the traditional Pure Barre classes and get my cardio in on my own time. Have you taken Pure Barre or Pure Barre Platform? Let me know your thoughts! Winter has officially arrived! We got tons of snow in New York and I’ve been using it as an excuse to enjoy some time at home in my pajamas 🙂 I typically workout at a gym due to the variety of machines and equipment available, but when I’m short on time (or snowed in), I can easily get a good workout in with minimal equipment. In fact, all I have is at home is a yoga mat and a set of 12 pound dumbbells. You do not need a gym and ton of equipment for a great workout! Here is the circuit I did this morning, and boy was it a sweaty one! What is your favorite workout to do at home? Hope everyone stays safe and warm! 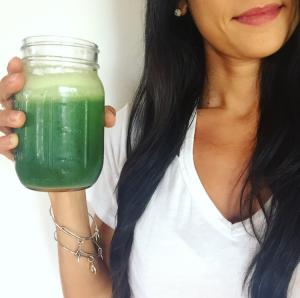 As a health & nutrition coach, I’m aware of the benefits of a plant-based diet and focus on consuming foods and supplements that are as natural as possible. As a fitness instructor, I’m aware of the need for proper supplementation for muscle repair, recovery and muscle growth. Therefore, I am always on the lookout for products that meet both of these needs. –protein source – is the protein powder whey-based or plant-based? For those who have a hard time digesting diary or choose to follow a vegan diet, plant-based would be the best choice. Plant proteins can come from a variety of sources, such as brown rice, hemp, pea protein, or a combination of these. –clean ingredients – many protein powders have added sugars and artificial sweeteners. I personally avoid artificial sweeteners where I can. Hate to be the bearer of bad news, but if your protein powder is “birthday cake” flavored, chances are there are some fake sugars in the mix. –nutritional stats – as a post-workout supplement, I look for a protein powder with around 15-25g per serving. If you are consuming your protein shake post-workout, then you will want to add some carbohydrates (ie: fruit). 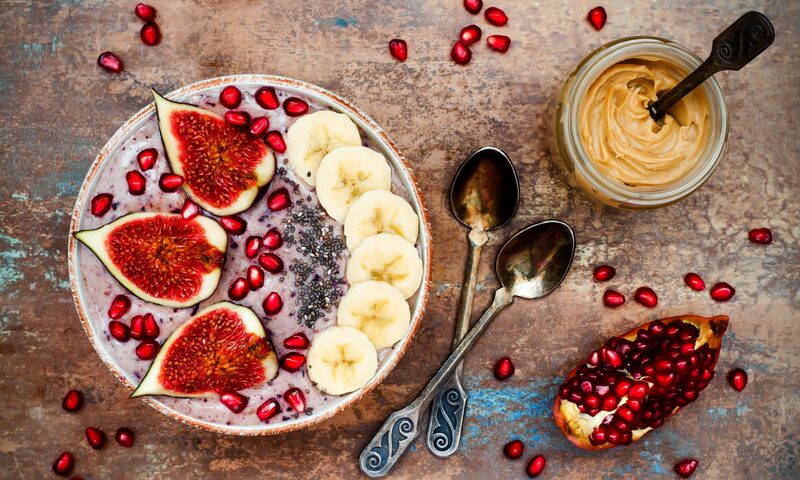 If you’re consuming your protein shake as a meal replacement, you’ll want to add some healthy fats in addition to that, such as chia seeds, nut butter or avocado. –taste – I typically make my protein powders into smoothie, but if I’m in a rush, I’ll throw it into a blender bottle with some cold water or unsweetened almond milk. It’s important that the powder tastes yummy both ways and also mixes well. I recently tried Everlast’s Vegan Protein and absolutely loved it! Everlast VP is a plant-based powder, which can be easier to digest over whey protein. It has a complete BCAA profile using a blend of pea, rice and hemp proteins to promote lean muscle growth and recovery. It’s free of dairy, soy, gluten, sugar and is non-GMO! The nutritional stats are great. Each scoop has 22g of protein and 110 calories. Lastly, it tastes great! It is naturally sweetened with stevia and has a great, creamy vanilla flavor. I’ve had it alone with just some almond milk as well as in a fruit smoothie and both ways were delicious! I’ll definitely keep using this! If you want to try it, there is a great offer going on right now! 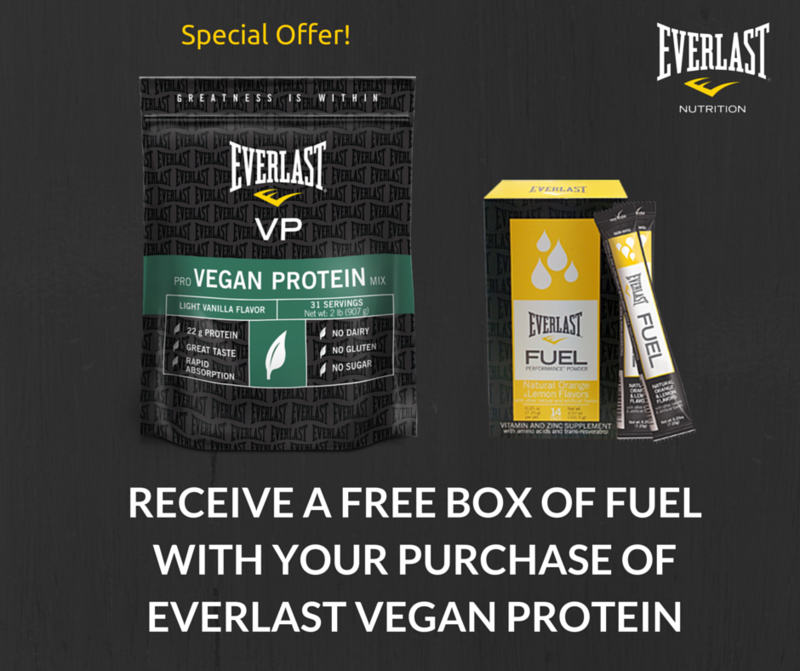 When you purchase a bag of Everlast Vegan Protein you’ll get a FREE box of FUEL. Use code TINAOHWELLNESS for an additional 5% off + FREE shipping! Click here to order!